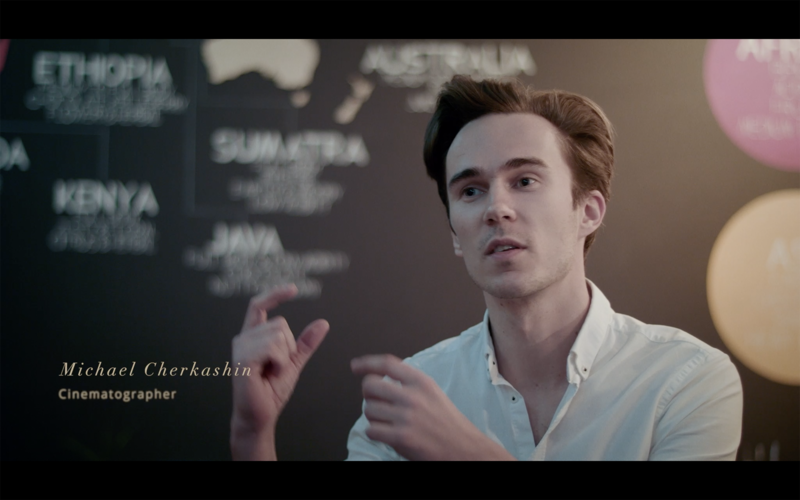 Michael Cherkashin is an award winning Graphic Designer, Creative Director, Cinematographer and Documentary Film Director. Founder of HUG Agency (http://hugagency.com) and Inhale Films (http://inhalefilms.com), his creations have helped brands such as LA Lakers, Universal Studios, Paramount Studios and others. Michael’s collaborations also help innovative startups get their feet off the ground with his exceptional design and mindful approach to user experience. How was Hug Agency born? We noticed Hug Agency is also on a mission to provide drinking water to people who need it. Can you explain how Hug Agency does this? Well, yeah, 1 in 9 people on our planet don’t have access to drinking water, if you think about it hypostatically every 10th person you meet during the day is dying because of it. At HUG agency we donate a little amount earned from projects to people in need, it might be a small impact but as we grow it’s getting bigger, we think if every business can donate at least 1% it will make a huge impact. 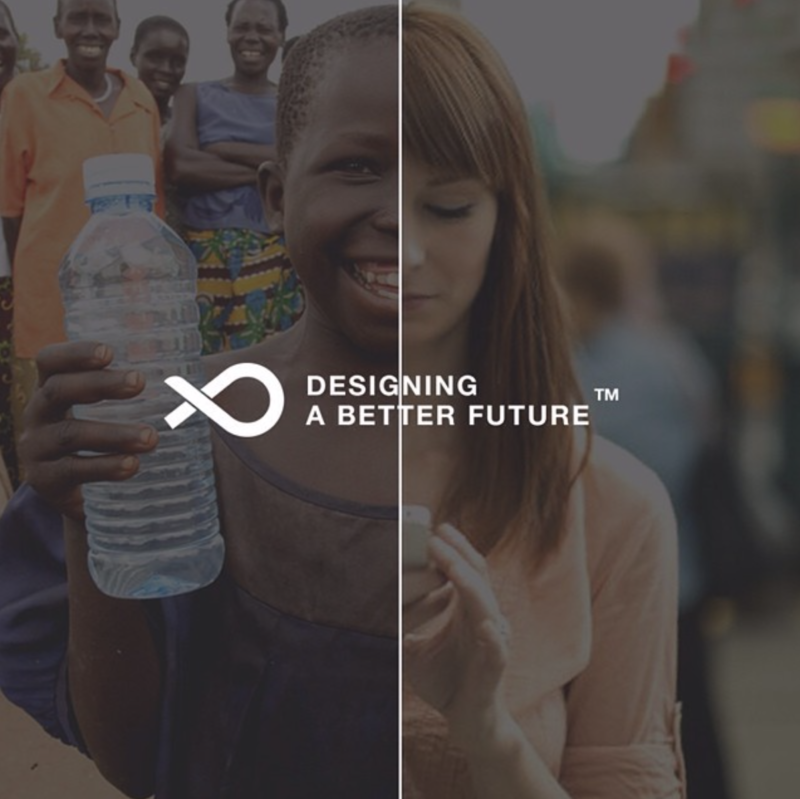 …providing drinking water to people who need it. How do you view the competitive landscape for Hug Agency? Did it affect believing in your own work in the first place? It wasn’t about believing in my own work but about enjoying it, if you enjoy what you do you have way more chance to succeed. Competition in the design industry is huge that’s no doubt, but on the other hand there’re tons of startups who need our help, we want to provide the best customer support possible, that’s why we called it “HUG”, we also want to work with companies that have sustainable approaches and offer products, services or education that benefits our planet and humanity. That’s what makes as different. What made you take that niche for Hug Agency? We get a lot of requests from companies with such a huge number of ideas, ideas that you would never think of. And many of them could really improve lives and make a difference, but the problem is that many startups fail, and majority fail not because of their idea but because of their execution. Our passion and our duty is to help those startups get their feet off the ground, to grow and reach a bigger audience. What is the biggest lesson that you have learned since you started Hug Agency? The team is what matters the most – if you have people you trust, people who share your vision there’s nothing that can hold you back. Starting your own business isn’t a quick and easy endeavour, especially in such a competitive industry. What advice would you give to young people looking to start a design business or career? Sure, I would say if you’re really passionate about design, start with freelancing, work on interesting projects, projects that are meaningful to you and don’t chase money, an awesome project will provide a lot more in the long run than a good initial pay. Once you have a nice portolio of works divide them in 20/80 ratios; showcase only your best collaborations and compare your work with top designers on Behance, Dribbble and other platforms. When you’re getting enough recognition and projects are coming in bulk – it’s time to start your agency! When you’re getting enough recognition and projects are coming in bulk – it’s time to start your agency! I do something else, usually not related to my craft, I go for a walk, cook a meal, spend time with my family and come back to the task the next day. I would recommend this strategy to everyone, it’s worked perfectly over the years. We notice that Hug Agency works with really big names, LA Lakers and Universal Studios to name a couple – is it fair to assume that an award-winning agency like Hug works with clients with large budgets only? No, actually the opposite, we want to bring top-level service to startups, when we see that a company doesn’t have a large budget but we love their idea, we can accommodate solutions to make it happen. What was a dream you achieved that you’re most proud of and why? 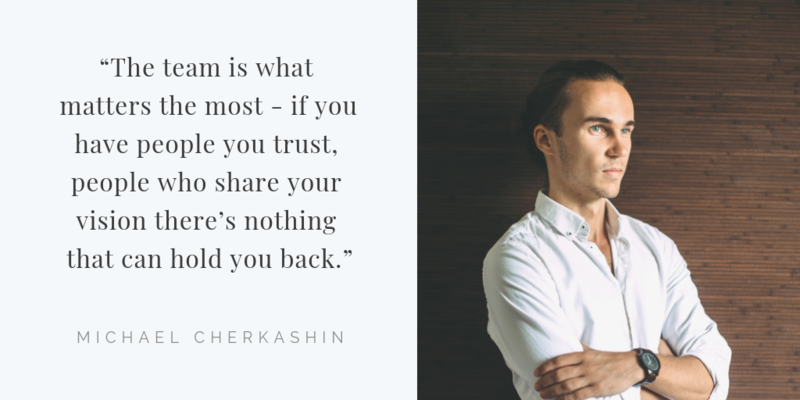 Michael Cherkashin for the Uncommon Grounds. I directed and filmed a documentary called Uncommon Grounds. It was really challenging as this is my first feature-length documentary. We filmed in 7 countries and were traveling almost 2 years to get all the footage in place, but even more challenging was to edit everything and turn it into a quality piece. Enjoy learning and learn as much as you can!